Are you looking for just the right buttons to give your game that woodsy, organic feel like no other? Well, you came to the right place! 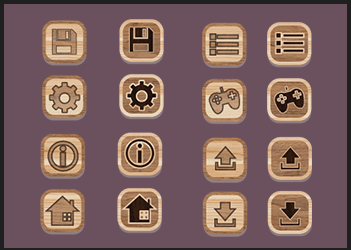 Introducing the Warm Wood Button Pack; bringing the forest to your projects! Elves not included! All square and hexagon buttons are 64x64. Rectangle themed buttons can be modified to size desired. Tatami and Wood screen elements coming soon! 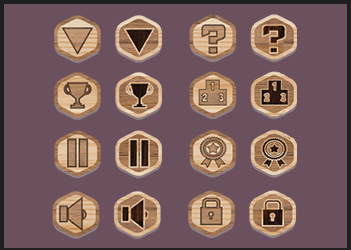 This pack is a great template for puzzle games, forest & medieval themed games or mini games that focus on texture (Kirby's Epic Yarn, for example). Updates coming soon.